A Aluminiummosquito netgivessafetyagainstmosquitoes &insects, it will safeguard against the diseases they cause.To be effective the net of a mosquito screen must be enough to block such insects without reducing visibility or air flow. Vishak Innovations Private Limited is the leading fabricator in the segment of insect screening and specialized in the development of intelligent sunshade materials. We focus on design retailer and manufacturer. Our products include imported quality Window and Door Components, Mosquito Mesh, Mosquito Screens & Net. We continue to lead and diversify in the industry of insect screen, solar control fabrics, and designed fabrics. We have a wide range of expertise in Interior works and had been developing the Store Galleries across Tamil Nadu. We specialize in delivering exceptional service coupled with quality products and innovative yet classic designs. Our expertise in Interior works enables us to offer services to multiple segments. Built with ingenious technology and top quality materials, we deal with the world’s largest selling brand in mosquito screening and sun control fabrics market. These products are stringently examined on variegated parameters of quality and then forwarded for the final dispatch to the clients. All these products are made available by us in various specifications, so as to meet the exact need of the customers. Our team offers a wide range of screening solutions and fitment options add up to the aesthetics of home interiors without disturbing the purpose of a window to provide free flow of air and light. VISHAK’s cutting-edge research and world-class products permeate a whole range of home and office screen solutions making the products aesthetically designed with the availability of skilled workmanship. We provide customized and elegant mosquito screen doors and windows for domestic and commercial mosquito screening applications. All these products are highly applauded by the customers for their least maintenance, longer lifespan, robustness, seamless finish and abrasion & corrosion resistance. Constant innovation, exemplary customer service, and good after-sales technical service support are why we stand a class apart and enjoy high reputation and credibility in this industry. Quality is key and VISHAK has gathered a strong team of talented and reliable Wholesaler. Eventually, clients, as well as architects satisfaction, are our main motto whereas we always pay justice and take care of quality, reasonable rates, timing and aesthetic manifestation. Vishak Innovations Private Limited offers different types of fitment options and various kinds of materials ranging from near invisible Stainless steel screens to shiny rigid Bronze screen in metals. We also have flexible fiberglass & puncture resistant polyester screens to suit your unique needs. 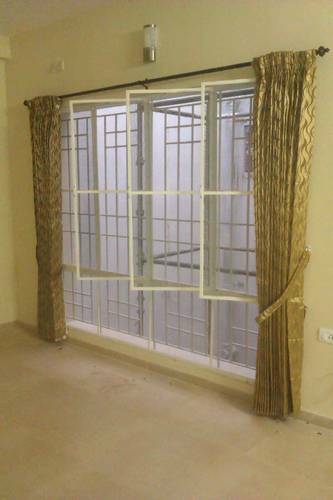 We also offer conceptual designs and customized products to fashion your windows. With the existing professional team, advanced equipment, diversified products, sophisticated technology and high-quality service, we have been highly praised and deeply recognized in this domestic market. Vishak Innovations Private Limited owns the biggest assembling unit at Chennai catering pan India with safe logistic support. Our main vision is to provide world-class products and customer experience in insect screening and Sun control solutions. With the ability of professional research & development and perfect management system, we sincerely look forward to establishing cooperation and expand our retail operations across South India & Pondicherry.